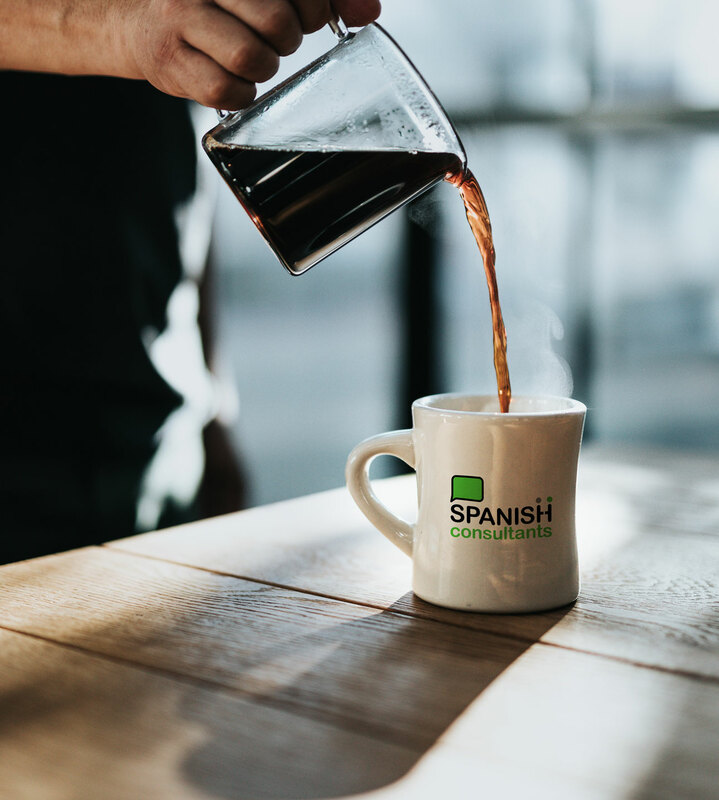 Since 2005, Spanish Consultants has been dedicated exclusively to teaching Spanish to executives, professionals and corporate groups in Tampa, St. Petersburg, Clearwater and Miami, FL. Spanish Consultants founder Lyl Polanco reached out to us needing a logo for her new business. After a few questions and a bit of direction on what she was looking for, we agreed on this simple, bold and cute logo representing the conversational (the bubble) aspect of learning a new language and the two figures communicating face-to-face.